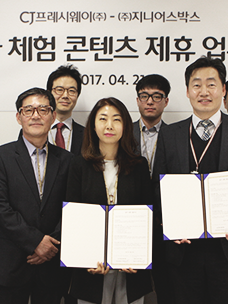 CJ Freshway (CEO Moon Jong-Suk), a company specialized in food ingredient distribution and catering services at CJ Group, announced that the company held a win-win cooperation event in a rice contract farming complex in Hwangdeung-myeon, Iksan, North Jeolla Province on May 31. The ceremony was held in the order of a performance by a traditional Korean music performance team and offering a sacrifice to spirits for CJ Freshway, Iksan City, Hwangdeung Agricultural Cooperative, and contract farmers to pray for a good harvest before rice planting and to strengthen their will to cooperate with one another for mutual growth. Participants such as Kim Seung-Ha, general manager of the Product Development Division at CJ Freshway and Iksan mayor Jung Heon-Yool, participated in rice planting, worked alongside farmers, and listening to the farmers’ difficulties in the field. CJ Freshway is planning to cultivate rice contracts in Hwangdeung-myeon for the third year, including trial production, and plans to buy 5,000 tons of rice this year. 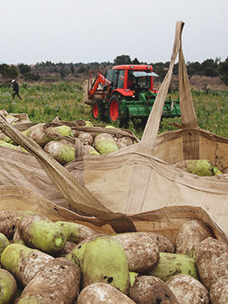 The cultivation area is 500ha, which is a 108% increase from the previous year and a whopping 250 farmers participated. CJ Freshway supports farming education on optimal cultivation technology to improve quality and increase production of rice. Freshway’s introduction of an excess profit sharing system, the industry’s first, will return profits from increased rice volume to farmers. Iksan designated and is running a dedicated department for strict quality management and Hwangdeung Agricultural Cooperative is in charge of growing seedlings and technical education and supports the contract cultivation structure for win-win growth. 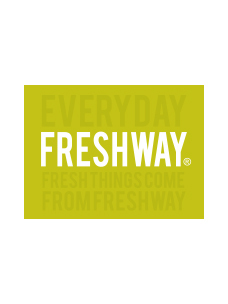 "We will do our best to make everybody's efforts pay off through contract farming," said Kim Seung-ha, general manager of the Product Development Division at CJ Freshway. "We will strive to give ultimate benefits to consumers by reducing distribution stages.